As a snack lover, I wholeheartedly admit to loving a variety of snack foods. However, it seems when I shop that I always gravitate to the same old snacks. I see other things, but then I wonder will they be as good as my favorites and I end up sticking with my tried and true. Getting to try new things is just one of the many reasons I love my Degustabox. And, as a self-proclaimed snackaholic, I squealed in delight as I opened my November Degustabox! Low and behold there were several yummy looking snacks staring back up at me! It was a little like opening a special gift on Christmas as it was a snack lovers dream come true! November’s Degustabox was filled with yummy snacks! 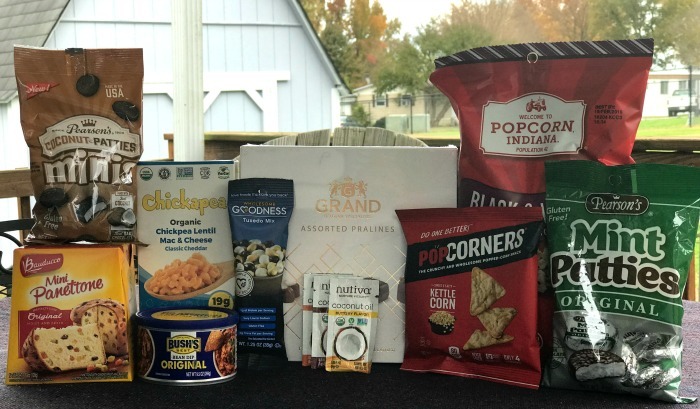 The November Degustabox contained rich decadent snacks, sweet & salty snacks, bean dip and some good old comfort food like the Chickapea Mac & Cheese. I was so excited to try them all and I ended up loving every one of them. The best part is, I can now add new snacks to my favorites on the shopping list! Are you ready to take a look at them? Let’s go! 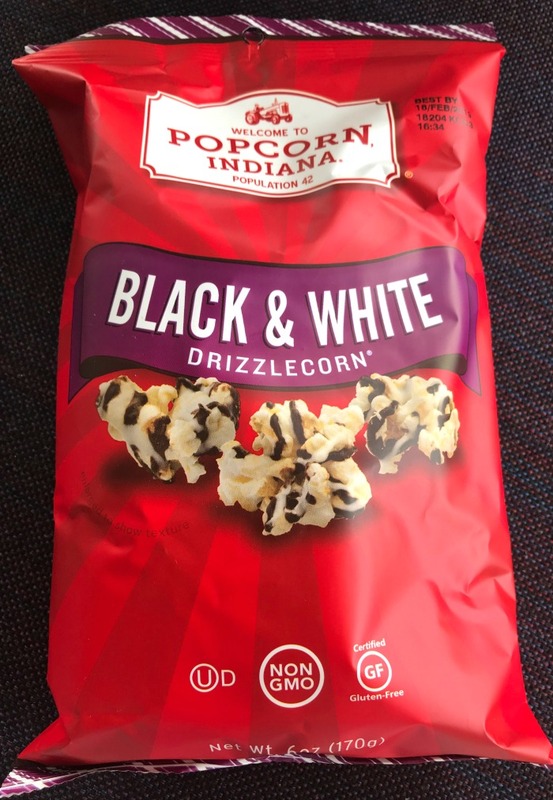 When you are searching for a snack, nothing hits the spot like the yummy Drizzlecorn from Popcorn Indiana! They call them their little pieces of art. Instead of paint, they use dark and white chocolate. And instead of canvas, they use popcorn. The Black & White Drizzlecorn is rich dark chocolate and luscious white chocolate drizzled over crunchy Kettlecorn. So, if you love sweet and salty snacks, you will love this tasty masterpiece! 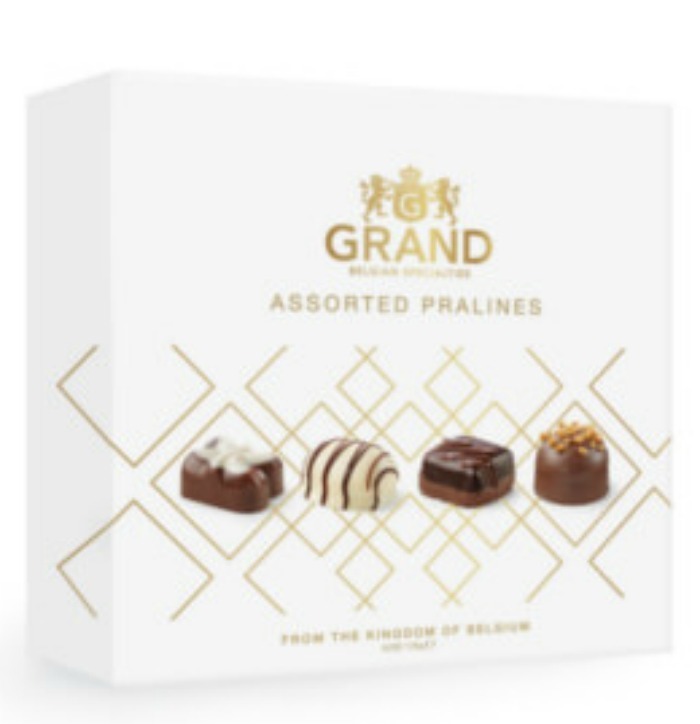 Another favorite snack is the Grand assorted chocolates box. It gives you a variety of 16 Belgian chocolates that will have your mouth watering! The signature chocolate recipes are tested for taste, bite, and the perfect amount of shine. YUM! Mac & Cheese lovers will delight in the Chickapea Mac & Cheese! It is everything you crave in a comfort food, but without the guilt! 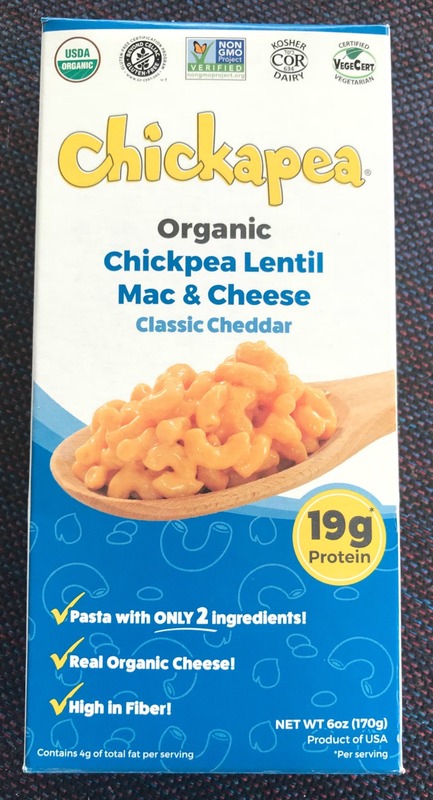 The organic nutritious, gluten-free, chickpea lentil pasta is paired with a clean, organic cheese sauce that you and your family will love. It’s not just better for you, it is good for you! 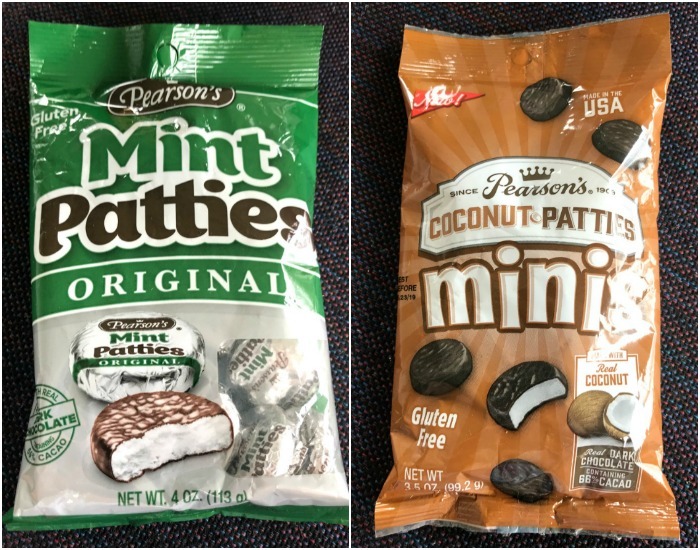 Mint Patties are a favorite of mine and I especially love the Mint Patties from Pearson Candy Company! These yummy patties are filled with creamy centers made of aromatic, real peppermint oil and covered in rich dark chocolate. The Coconut Patties from Pearson Candy Company are equally delicious! The Coconut Patties are small discs containing coconut and then covered in incredible, rich dark chocolate. They pack a powerful mouth-watering punch! Everyone knows that Bush’s Best really are the “best”! Bush’s is a family-owned and operated and have been serving their delicious beans across Ameria for over 100 years. Their been dip is just as tasty as their beans! 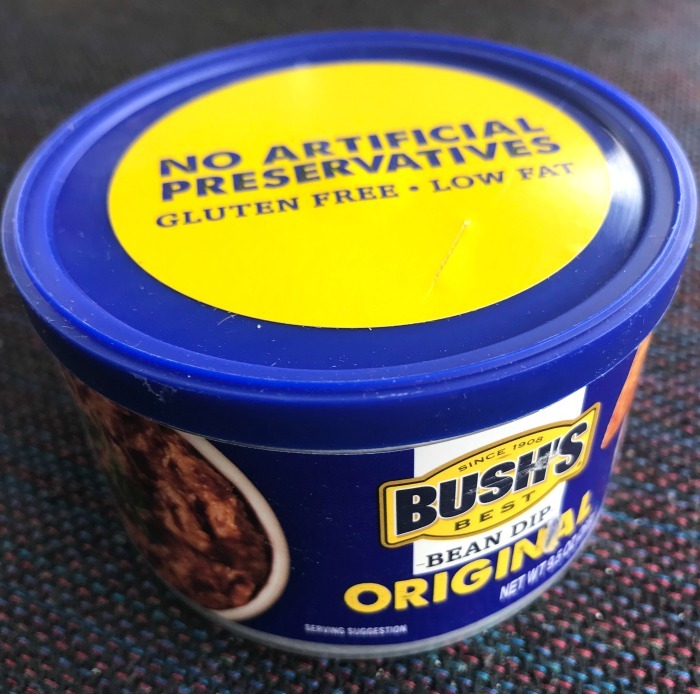 You can feel good serving Bush’s Bean Dip to family and friends because it’s low sodium, trans fat free, and has no added sugar. Don’t let an afternoon slump get you down. Take a breather and fuel up with yummy Tuxedo Mix! It brings together delicious yogurt covered raisins and peanuts with crunchy dark chocolate covered soy nuts and infusion roasted peanuts. It is an incredible flavor combination and an exciting way to energize your day! 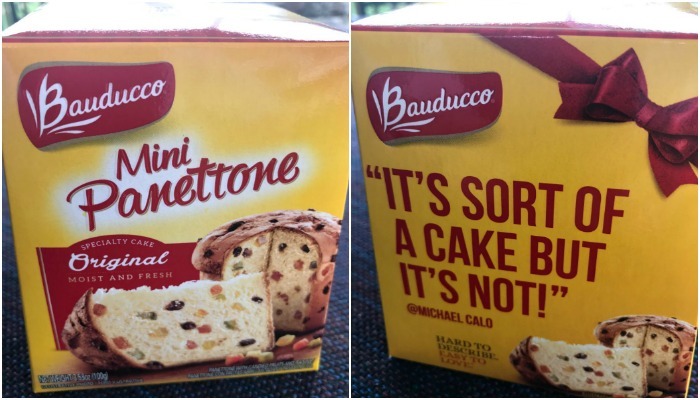 You just have to try the delicious Bauducco Panettone! It is a traditional Italian holiday cake made with care in a process that takes 52 hours. WOWZA! The mini Panettone is the bite-size version of the delicacy and is perfect for an on-the-go snack. It is also a great gift option for the holiday season! 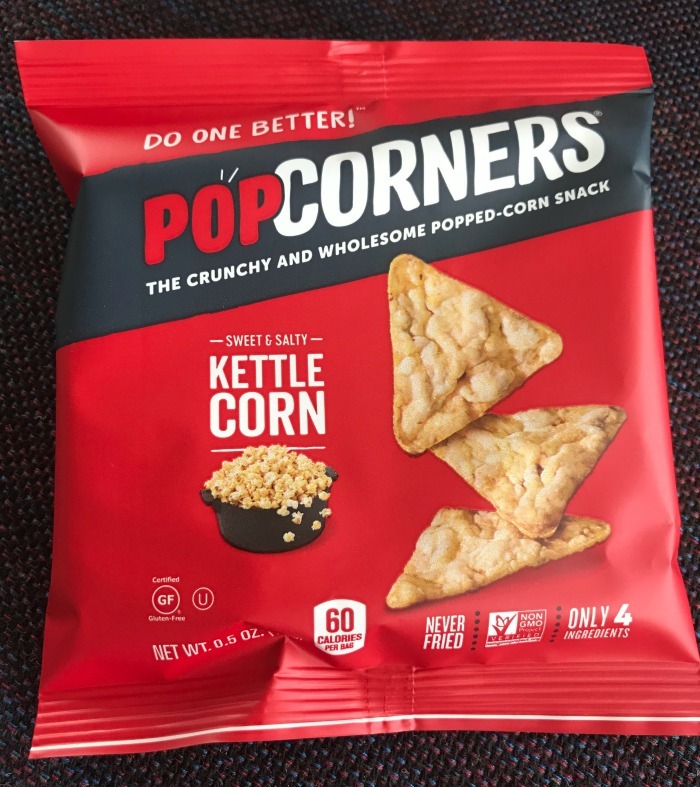 If you love crunchy snack, then you will love PopCorners! They are a delicious, wholesome snack made with non-gmo corn sourced from their network of family farmers from right here in the US. The delicious Nutiva Coconut Oil is great for helping you cook healthier! And, did I mention it gives your dishes a yummy depth of flavor that is hard to beat! 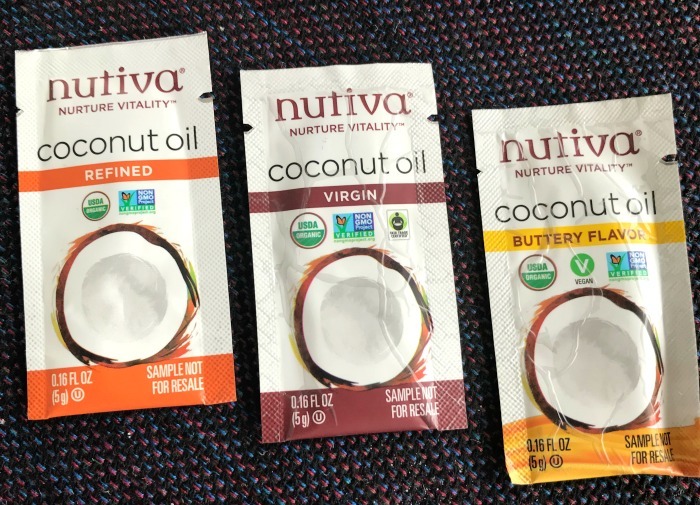 Nutiva’s organic culinary oils give you more ways to cook healthily, using nutritious products made organically, ethically and without harsh chemical processing. I love my monthly Degustabox and my November box is no exception! It was a snack lovers dream! Some I had tried before and others I hadn’t. But, that is the beauty of the Degustabox! It allows you to try new products before you shop! I love trying the new products each month and am enjoying the value I get from my Degustabox! Are you ready to Sign Up for a Degustabox Subscription? Sign up for a monthly subscription with Degustabox for only $19.99, which includes delivery. Receive your Degustabox every month filled with goodies (10-15 surprise products, many new to the market)! And, at this price, it is much less than you would pay in stores! It is a great value and a great way to try before you buy! If you decide it isn’t for you, that’s alright too! There is no commitment necessary. To cancel, just let them know before the 15th of the month. So, what are you waiting for? Go ahead and give Degustabox a try today! I love anything coconut. This looks like a healthy snack item. sure going to check out this subscription service. Thanks!